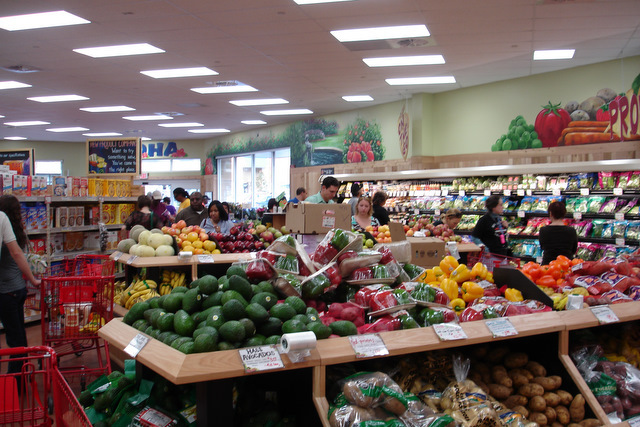 With the opening of a new Trader Joe’s on Wake Forest Road in Raleigh earlier this Fall residents of North Raleigh no longer need to travel to Cary to buy their two buck chuck and organic humus. 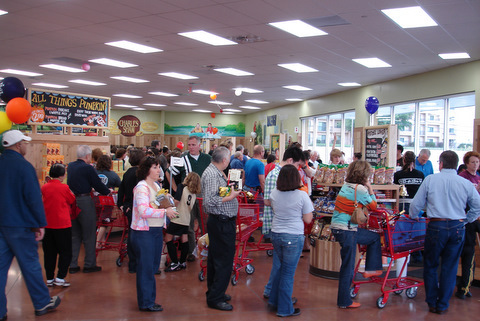 The Triangle’s newest Trader Joe’s opened up in late October in the remodeled Holly Park Shopping Center located just inside the 440 beltline , a block away from Costco, midway between downtown and the suburbs of North Raleigh. I love the choive of bread they sell there, and I am a sucker for their Jo Jo cookies! The location of this store is prime because it is along a major commuter route making it easy to stop by to pick something up on the way home from work in the evening. 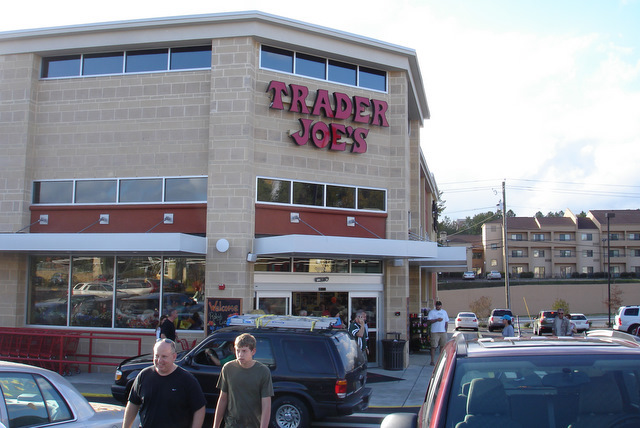 With this newest Trader Joe’s store the Triangle now has a total of three with two other stores located in Cary and Chapel Hill. If the crowds shopping there during Thanksgiving and the Christmas Holidays are any indication of how busy this store will be I think it will continue to be very successful at this location. Some people, myself included, think downtown is a prime location for a second store in Rlaeigh. It would surely help to encourage more people to visit downtown. However, if the Triangle were to get another store I think Durham or fast growing Wake Forest would be the next likely locations. Either way, having more choices of places to go to purchase organic produce is no doubt a welcome addition for many area shoppers.